Man with flag in boxi artwork jaili. Image credit MUST. This post was written by an anonymous artist. 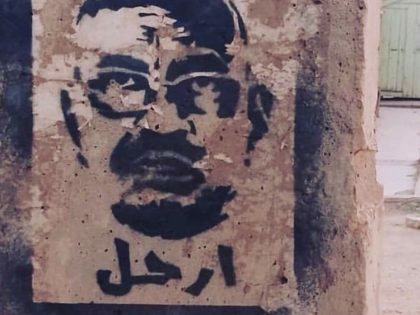 Street protests over the past few weeks against President Omar al-Bashir’s military dictatorship have been accompanied by an explosion of Instagram protest art from inside Sudan and its diaspora. In the 30 years of Bashir’s military dictatorship, there has never been a popular uprising comparable to the one that has been shaking the country since 19th December 2018. 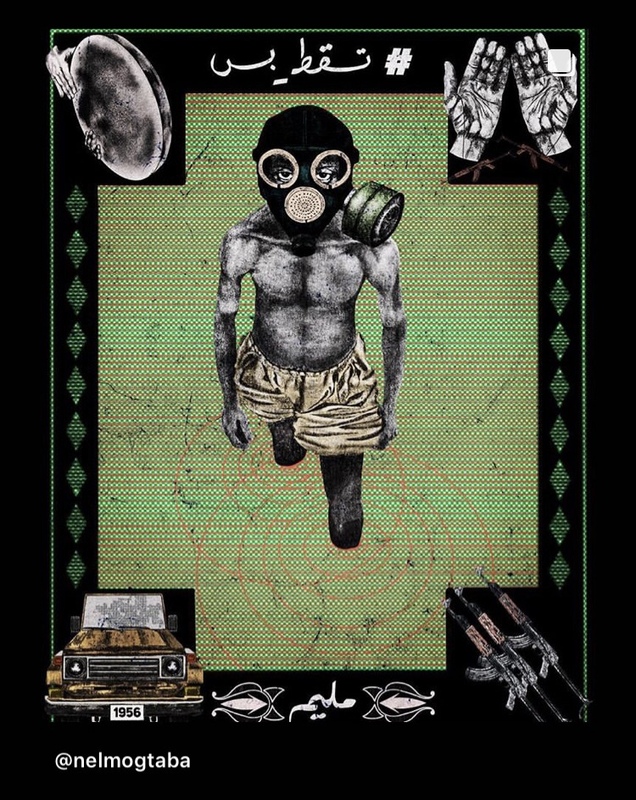 The artistic expressions that are emerging in their wake are novel in their intensity and content, but draw on Sudan’s long history of protest art. A defiant Bashir has said: “Changing the government or president cannot be done through WhatsApp or Facebook. It can be done only through elections.” The state’s targeting of social media suggests otherwise. 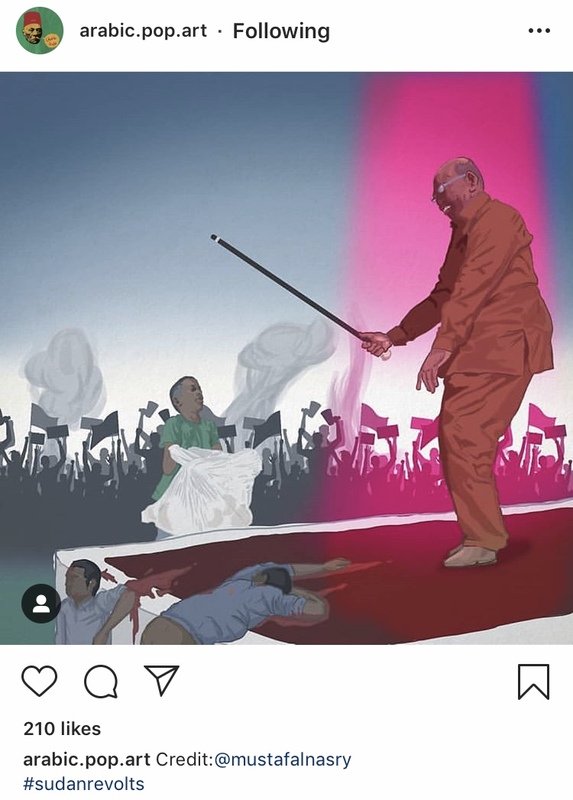 The use of art in Sudani political struggle begins with the creation of political cartoons in the 1950s; since then artists have learned to continually adapt to different political environments. 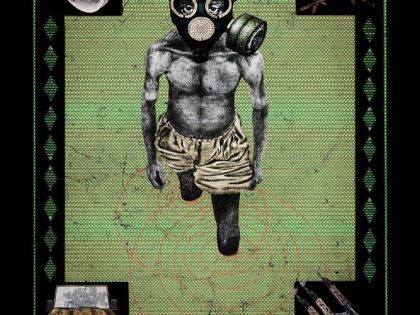 During several decades of authoritarian rule, artists resorted to self-censorship and communicated their political messages subversively to supersede censorship and prosecution. Those who didn’t obey those rules suffered consequences. 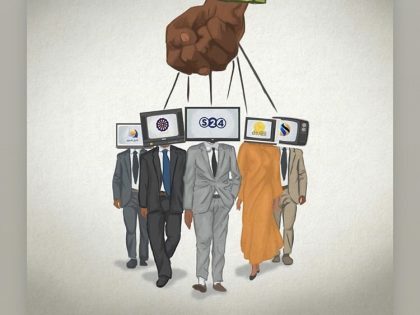 Traditional media channels including radio, television and newspapers fail to provide a forum to discuss political issues due to government repression. Social media has become not just a tool for communication, but an outlet for greater freedom to express political opinions. At the forefront of all this is the Sudanese Professionals Association. 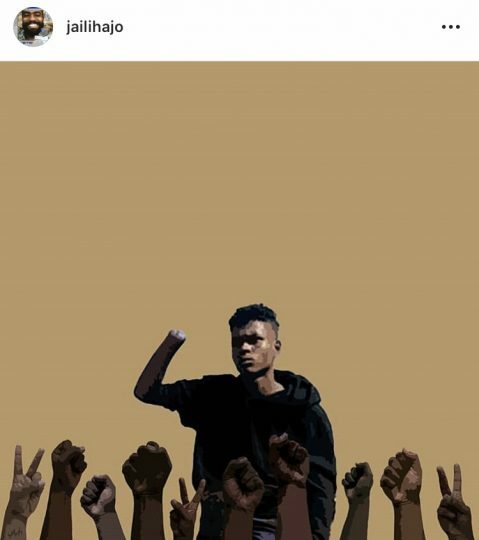 Virtual public spaces like Twitter and Instagram have given artists and activists alike the chance to voice opinions on a global platform while having the option to stay (semi-) anonymous without fear of persecution. 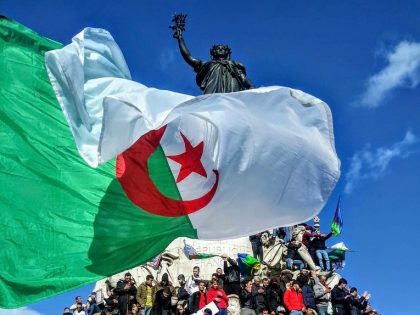 It has also given the opportunity to those in the diaspora (or otherwise unable to march in the streets) to participate in the civil uprising. 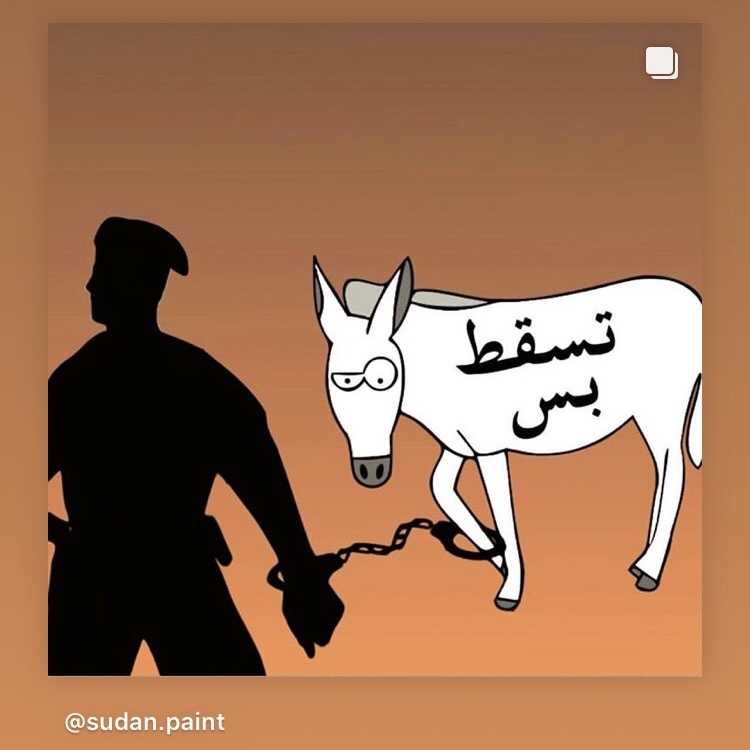 Sudani Twitter, with users in Sudan and the diaspora, is filled with (graphic) audiovisual content exposing the violence that the peaceful protestors from Atbara to Ghaybesh are met with while chanting “حرية سلام عدالة” (freedom, peace, justice). 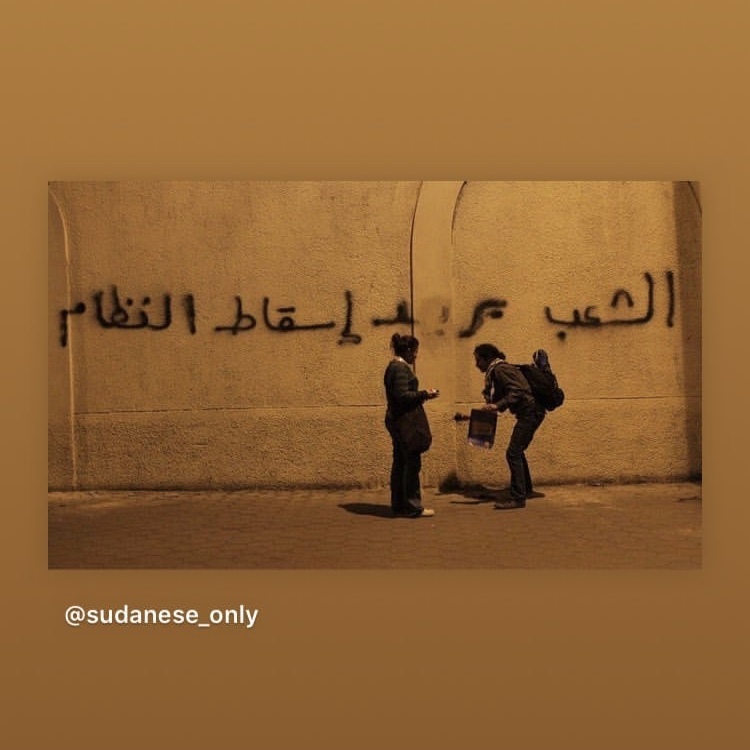 The hashtags مدن_السودان_تنتفض# (Sudan’s cities uprising) تسقط_بس# (just fall) and #sudanrevolts are a way to mobilize the protest culture and fuel discussion. 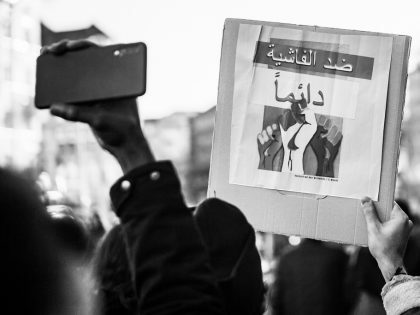 Those documenting the protests and the ongoing human rights violations are a thorn in the eye of Sudan’s ruling elite who have cut access to social media. Anonymous reacted to this by attacking official websites and archiving audiovisual proof for the state’s violence. Artists appropriate iconic images and in many cases, increase their art’s shareability and global reach. 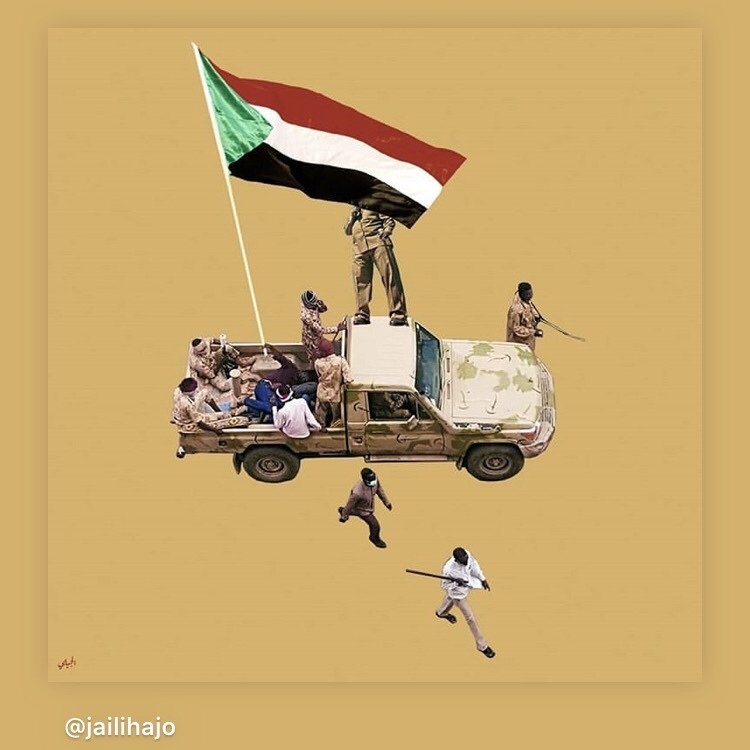 One image that has been remixed, is that of the arrest of a protestor on a boxi (pick-up-truck used by the police and National Security/Intelligence Service) still holding the Sudanese national flag up in the air while lying on the back of the car. 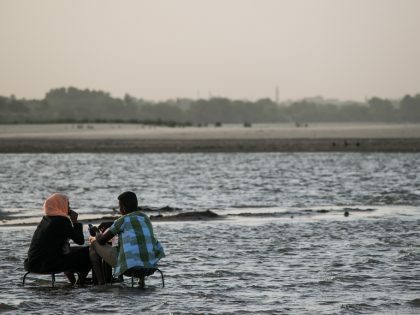 More disturbing details are coming out concerning the detention of thousands of people who have been picked up from the streets and from their own homes by police and security forces on a daily basis—not to mention those killed through torture and live ammunition. Artists have been documenting this through depicting snapshots of events and portraits of victims. Amani and Samir, two protestors who were attacked by the police, lost their eyesight and became icons of the bravery, strength and endurance of the people demonstrating in the streets. 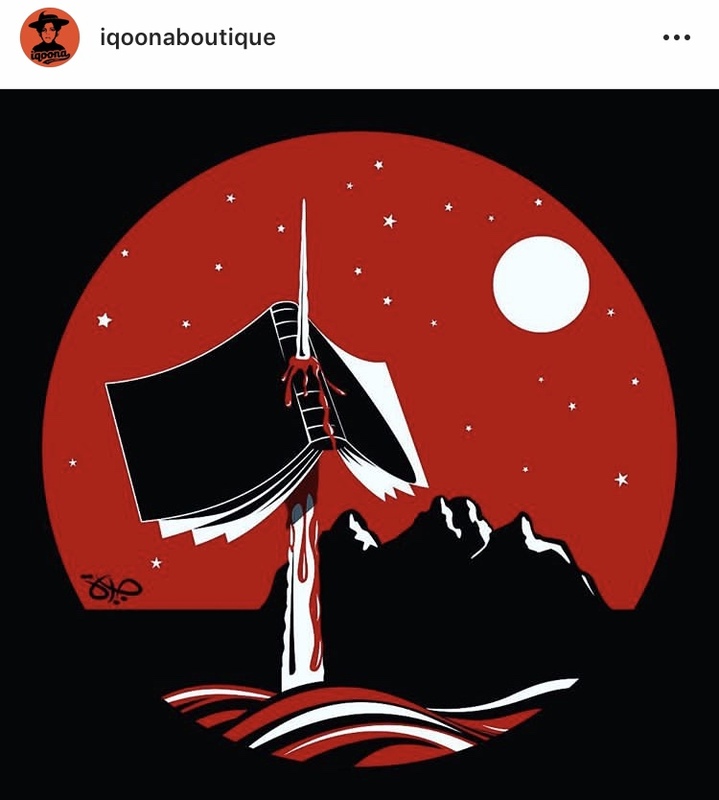 Artworks honoring them have been widely circulated. 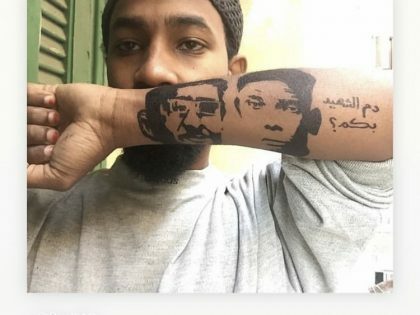 Another protestor who became frequently portrayed is Mohamed Al Masri, who lost one of his hands during the protests in December but nonetheless was seen marching in the streets again in January. Mohamed al masri hands. Image via Instagram. 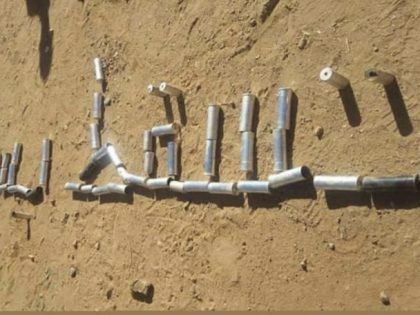 The government has responded to the deaths of protestors by claiming that unidentified people are responsible for these casualties. 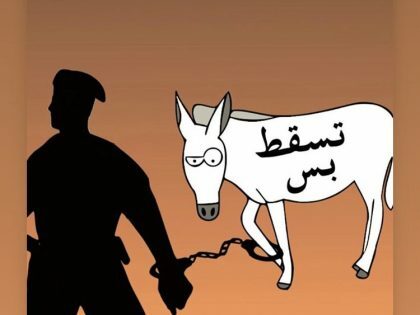 Government forces even detained a donkey that was marked creatively with a protest chant mocking the government. This moment, recorded on camera, presented a perfect occasion for artists to mock the government even further. 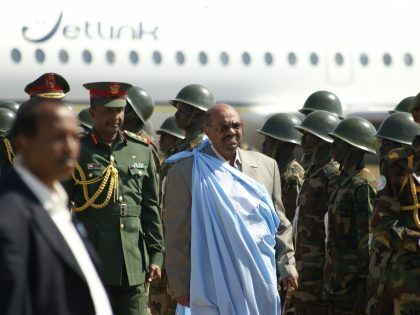 Meanwhile al-Bashir stated that he is satisfied with the executive forces’ actions. 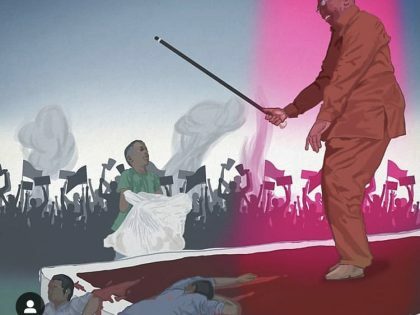 In the midst of the accusations of human rights violations, Bashir held a pro-government “1 Million People March” at Green Yard, dancing on stage in front of governmental employees. (Dancing with his walking cane, is one of Bashir’s trademark moves.) While this spectacle took place, Bashir’s security forces were teargassing peaceful anti-government protestors. The hypocrisy of this also motivated many responses from artists. Although portraying the President is punishable by law, fear of doing so has dramatically decreased in light of more and more people joining the protests. 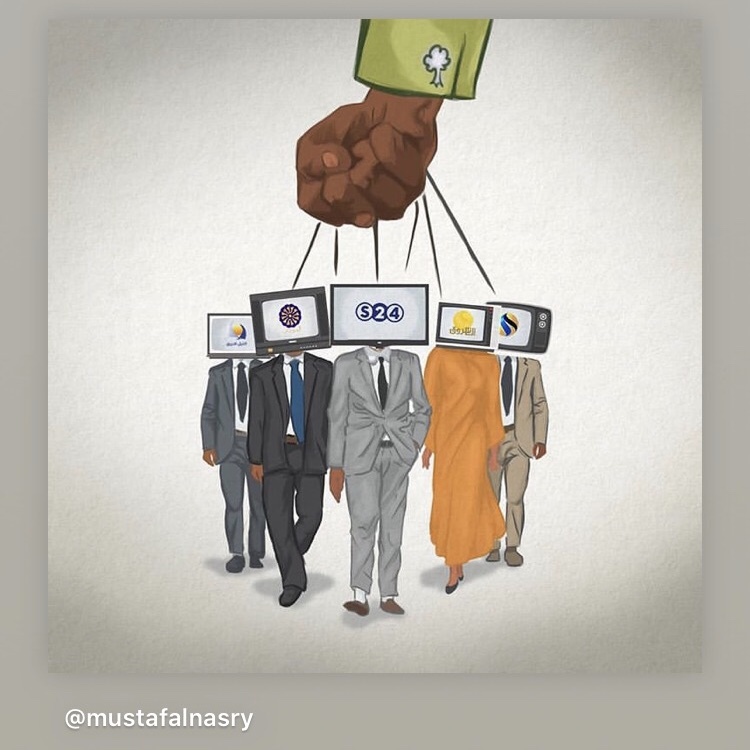 Social media platforms are full of caricatures of Bashir which depict the oppressive system he and his government have installed for the past three decades. 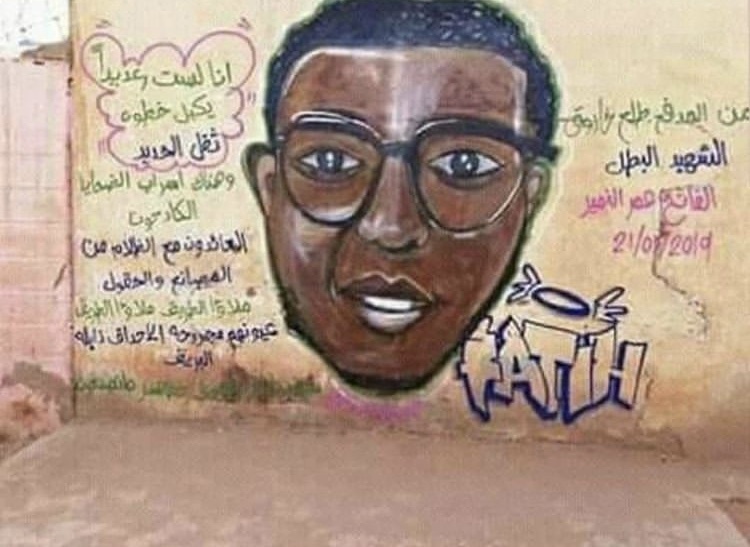 Street art is another vehicle of resistance in Sudan’s protest history; a medium of voicing political opinion which has spread all over urban centers. Simple slogans reiterate the tenets of the movement while portraits of the martyrs enhance the community’s unity. 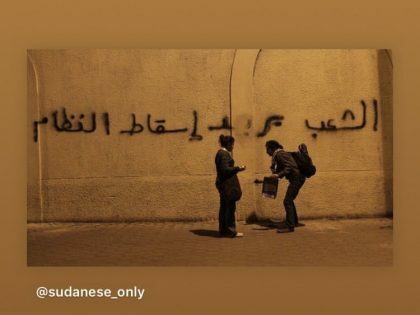 Under the cover of night, activists spray their messages on billboards and walls all over Khartoum, while protest posters appear at traffic lights. 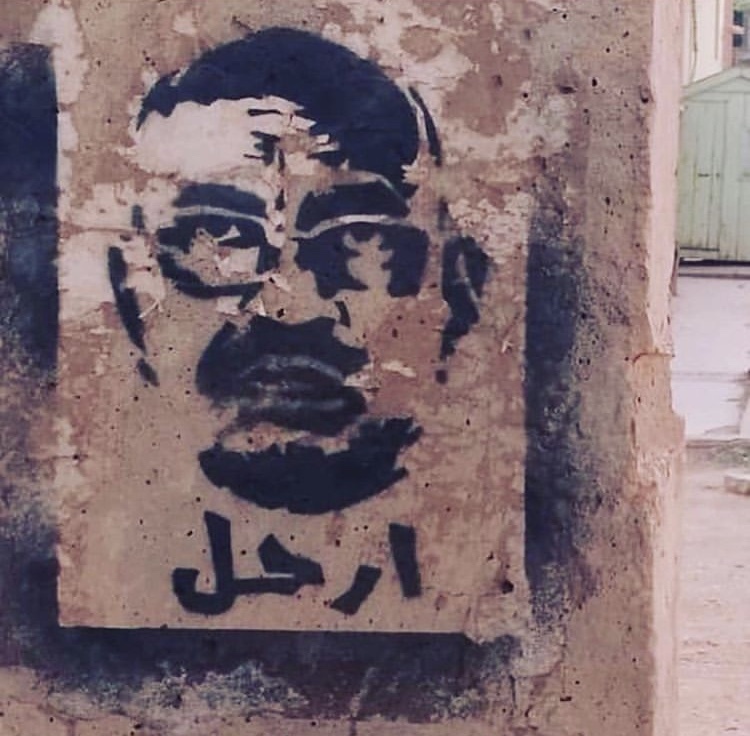 The non-violent resistance movement Girifna is well known for its use of street art in highlighting their protest. While police and security forces shoot rubber bullets, gas canisters and live ammunition at protestors, some collect these items. 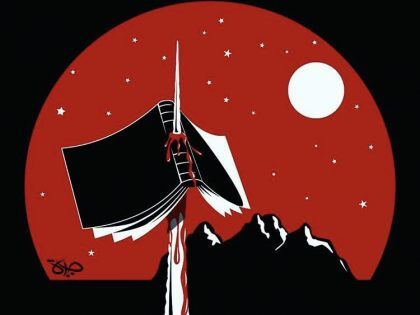 On one hand, this can be done to prove the violent backlash they face—on the other, it can be used to contest the violence through artistic means. 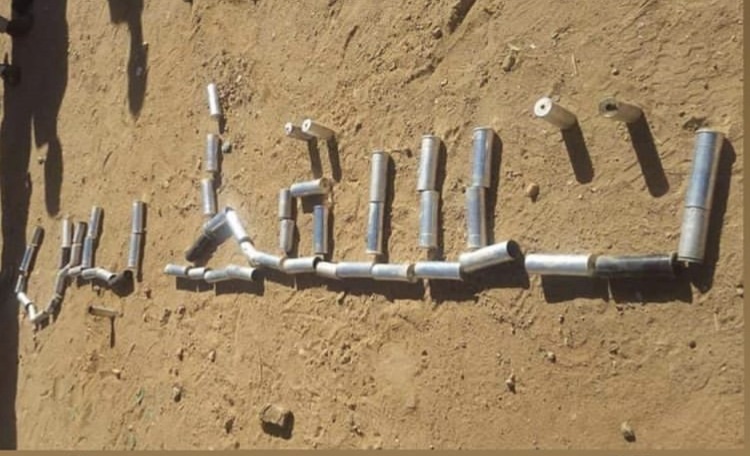 Tear gas canisters are laid down on the ground forming words such as the names of neighborhoods, or protest chants like تسقط_بس (just fall). 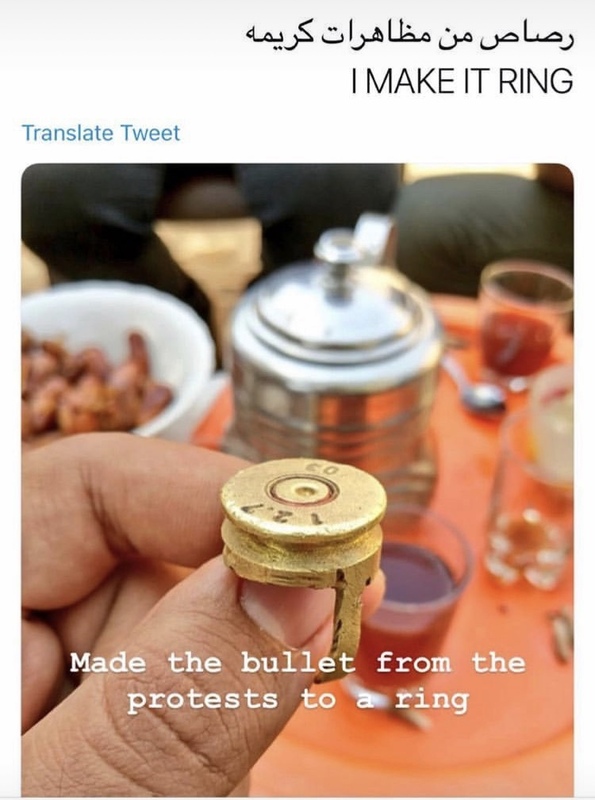 Bullets have also been used to create jewelry. 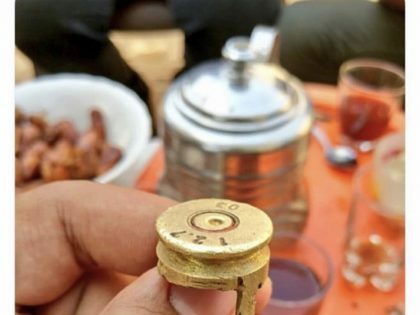 These appropriations of ammunition contest the power of the “enemy” and send powerful messages of resistance and resilience. 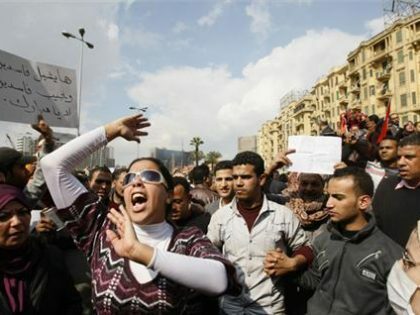 The role of women has been vital in the current uprising. 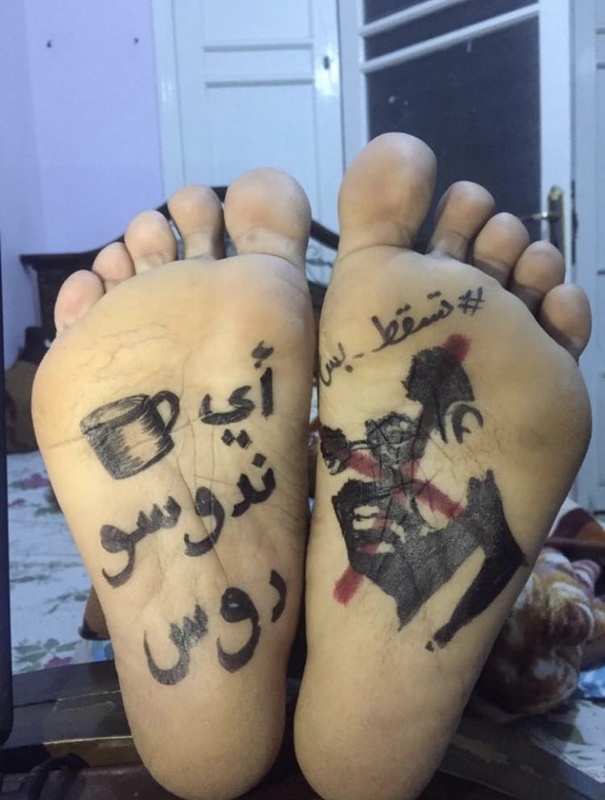 One example is a new practice undertaken by women, in which they write anti-government slogans on their hands and feet with henna—which is traditionally used to decorate women and show their marital status. 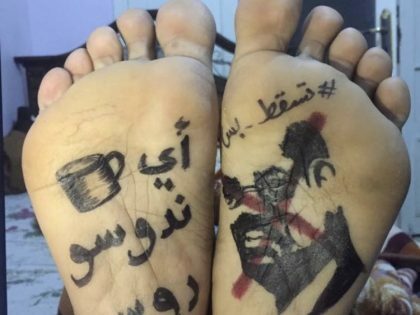 Using henna as a form of protest is an act of dedication to the cause, and puts them at great risk in public spaces where their political commentary becomes publicly visible. 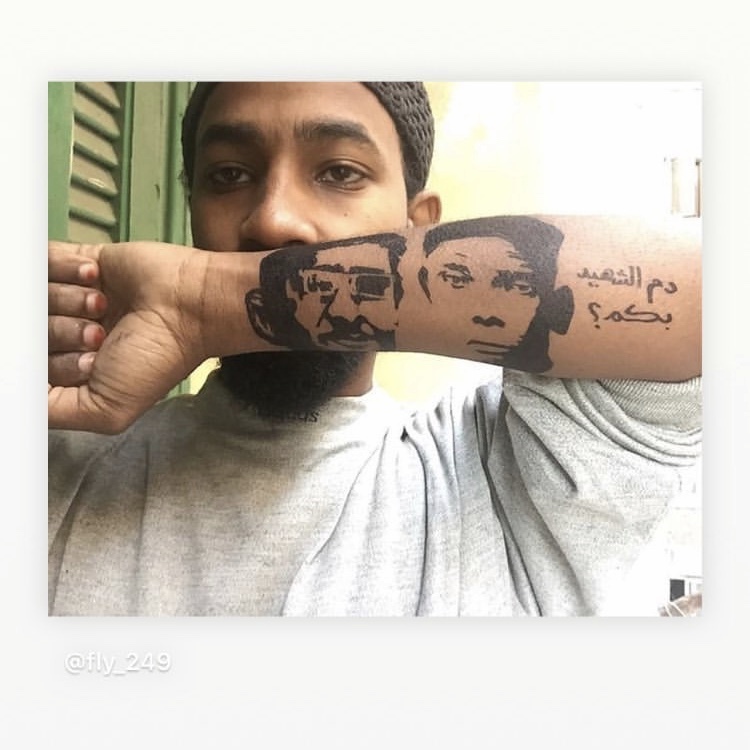 Similarly, male artists have been appropriating the henna tradition, using permanent markers to inscribe chants, flags and faces onto their skin. 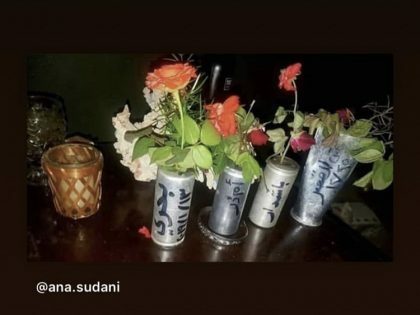 Protest art in Sudan has become a self-perpetuating movement. 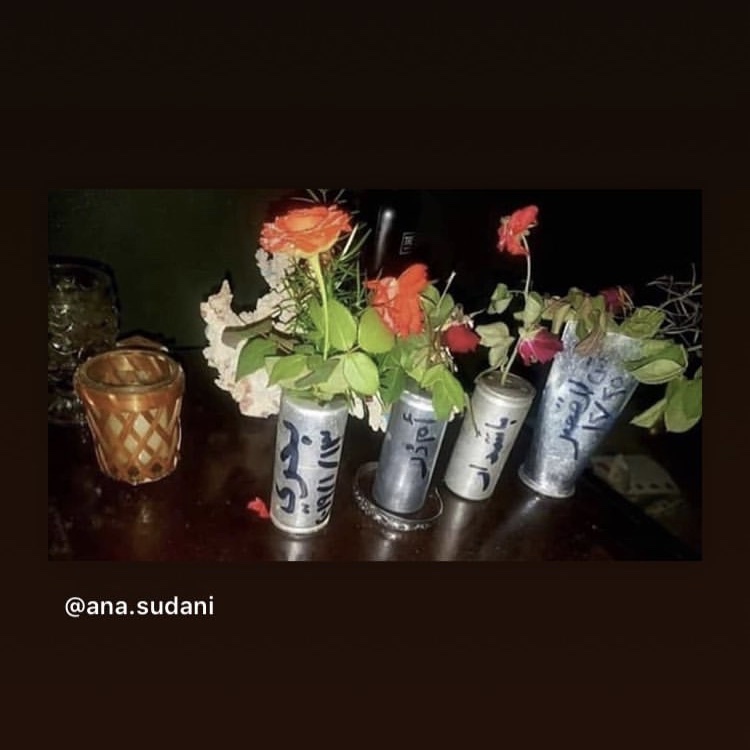 The artistic expressions, deeply rooted in the moment and space they originate in, represent the creativity of the Sudanese people to develop new tools for protest, as well creating a dialogue that is stronger and longer-lasting than the tyranny of the ruling elite. The artworks provoke the government to respond with acts of cruelty, but brutality only increases the resolve of the artists.